One Piece “Step in Pants” costume, black suit, white shirt, & red tie. Legs are free!! 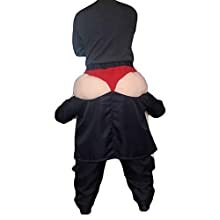 High Quality, thick material, hilarious costume. 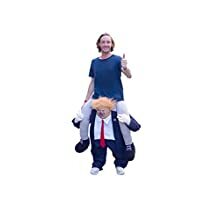 Amaze your friends as the one & only Donald walks you around on his shoulders!! Realistic Trump Mask on the head with world famous golden hair. Super realistic! Hate Trump? love Trump? Want to cry? This costume is for you! 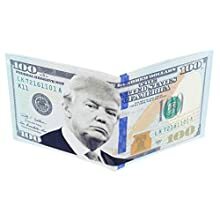 Stash your cash like a true billionaire with this Trump Hundred Dollar Bill Wallet! 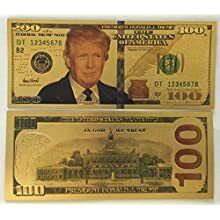 Wallet displays a $100 bill with the face of Donald Trump on it. FROM SEA TO SHINING SEA: From the mountains to the valleys, this Trump Troll doll is your little portable pal. Pop him up on your dashboard or keep him on your desk. He is excellent company wherever you go through this great nation. 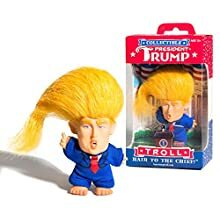 YUGE THINGS COME IN SMALL PACKAGES: Standing at 4 inches talk, give and take some hair, everyone agrees that this doll is the most attractive troll on the market. There is no fake news about it, this is the one, the only original Trump Troll for friends, fans, and foes alike. Brand new! 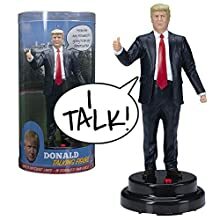 The only donald j trump talking figure that says 17 different post-election audio lines in trump’s own voice (see description below for a complete list of lines! ). Amazing audio quality! It’s like having the president in the same room with you! Maga ! Brilliant! Entertain and inspire friends and family by simply pushing the button! You’ll laugh, you’ll cheer, you’ll scream for more! Exciting! This is a true-to-scale, detailed talking sculpture of president trump. Show your support for our 45th president by proudly displaying this collectible figure on your desk or shelf. 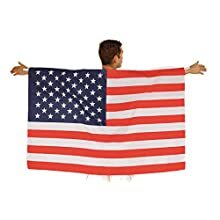 More than a mere toy or novelty gift, this is perfect for republicans or democrats, or fans of the trump bobblehead doll or trump talking pen. ONE SIZE FITS ALL – This Cape is designed to fit almost everyone! Features whimsical caricatures of friends and foes. Features fellow Republicans and supporters. A great political collectible from our times! 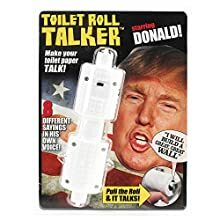 FILL YOUR BATHROOM WITH DONALD TRUMP’S VOICE – Prank friends and family with this ingenious Donald Trump toilet paper roll holder that makes your regular toilet paper talk! Just insert it into any roll of toilet paper and PREPARE FOR SOME SERIOUS LAUGHS! DON’T JUST SIT THERE… LAUGH! – This hilarious joke gift will have everyone in stitches! Your unsuspecting victims won’t know what hit them when they pull the roll for a wipe and hear Donald Trump’s REAL VOICE bellowing around the bathroom! 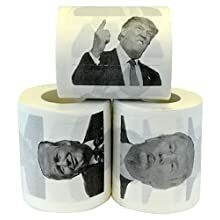 Perfect for fans of funny toilet paper like Donald Trump Toilet Paper, Hillary Clinton and Barack Obama Toilet Paper and President Trump novelty pens. 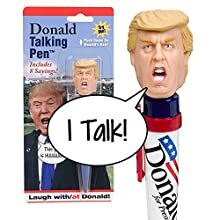 An ideal addition to your Trump Talking Pen! 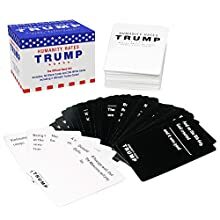 100% AUTHENTIC DONALD TRUMP – Digitally recorded in high quality sound definition from Trump’s speeches and interviews, these humorous Donald Trump toilet talkers make perfect novelty gifts to prank your friends and family. Includes 8 of his most famous sayings. PRESS TRUMP’S HAIR, HEAR HIM TALK! 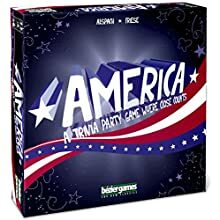 Includes 8 different sayings in Donald Trump’s real voice! Fantastic audio quality-you’ll think Trump is actually in the room with you! Perfect as novelty gifts or political pranks. THE HILARIOUS POWER OF DONALD TRUMP IS IN YOUR HAND! Just click the pen and listen to Trump pump you up! Funny gag gift for Liberals, Democrats and Republicans. Whether you support Bernie Sanders, Barack Obama or Hillary Clinton, this pen will make you laugh! REAL & UNCENSORED! No voice actors here-this is the real and uncensored Trump at his boldest, brashest and funniest! 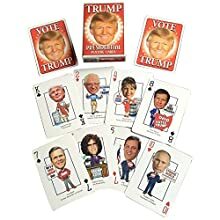 Unique political joke gifts or office manager gift. It’s like a pen and an action figure rolled into one! 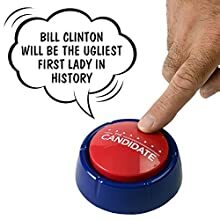 CANDIDATE BUTTON; Press and Hear Donald Trump Say Ridiculous Things in His Voice! 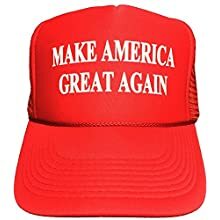 14 Unique Sayings Including “Let’s Make America Great Again,” You’re Fired” “I Love Women, I Love Them” and Many More! THE ORIGINAL PEN HOLDER. Don’t fall for all the other cheaply made knockoffs. 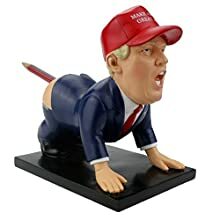 This is the original Dump-a-Trump Pen Holder. Just read our excellent reviews. PEN HOLDER & PAPERWEIGHT. 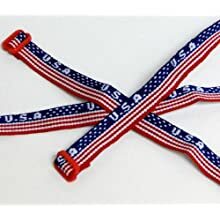 Easily holds a variety of objects including pens, paintbrushes, sunglasses, or even a Pence pencil. Flat bottom makes for a perfect paperweight. HIGH QUALITY & DURABLE. Expertly hand-crafted to look exactly like the real Donald Trump. Even includes the signature Donald Trump hair and ‘Make America Great Again’ hat. 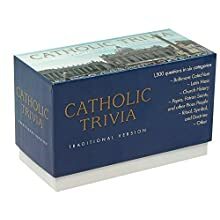 COMPREHENSIVE 1500 Questions Covering the Catechism, Latin Mass, Doctrine, Saints, Popes, and More! 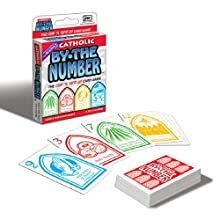 Cards are played in numerical order until one player runs out of cards -and wins the game! 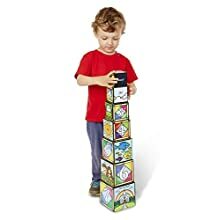 Blocks stack 28 inches (71cm) tall. Features scenes from the creation story.